Tommy D Scores Cover of Politico! 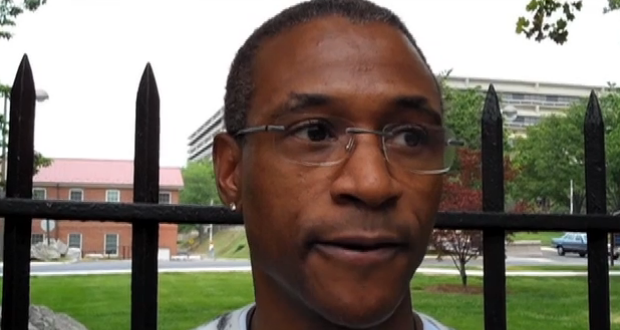 Comedian and D.C. native Tommy Davidson has made two visits to say hello to some of the wounded troops at Walter Reed Army Medical Center: Once in September and again on Friday. A lot has happened since that first visit, most notably the death of Osama bin Laden. We caught up with Davidson after his Friday visit to find out how that reality has changed the type of comedy he employs when he jokes around with the troops. After all, many of these wounded soldiers have been on the hunt for bin Laden or fighting the brand of terrorism he encouraged for nearly a decade. Davidson, whose television career has included stints on such shows as “In Living Color” and “MADtv,” said he particularly enjoys doing his Obama impersonation when he meets the troops.